SoCal man opens first camel dairy farm in U.S.
A San Diego County man is living out his dream by opening up the first camel dairy farm in the United States. People worldwide have been consuming camel milk for hundreds of years. 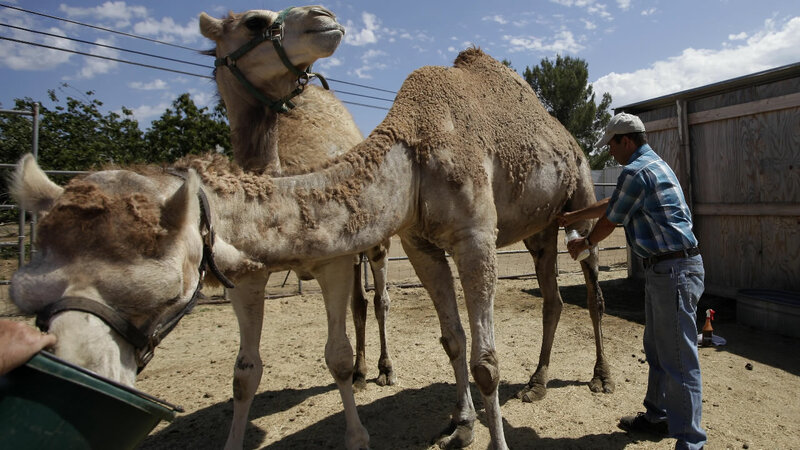 The idea appealed to Gil Rigler, who has a small herd of camels on his farm and produces camel milk for Californians. He says it tastes like a salty skim milk and it has some added health benefits. "The milk is actually turning out to be really good for autistic children and people with Crone's Disease and colitis," Rigler said. "It also has insulin in it, so the camel milk helps people with diabetes." There's only one problem for Rigler, he can't sell it because he doesn't have a permit, so the camel's milk is used to make soaps and lotions.